Some of my favourite sound sequences from the past few years of Cinema of Noise research. The final Cinema of Noise project is now online. Made up of material from a number of early Shinya Tsukamoto and Shozin Fukui films, this last installment explores the whacky world of Japanese cyberpunk movies. Highly imaginative, visceral cinema. More information here. The last but one Cinema of Noise suite, exploring the film work of Hiroshi Teshigahara [1927-2001], Michelangelo Antonioni [1912-2007] and Film Noir cinema. More information to be found here. Over the past few weeks I’ve had the opportunity to revisit a number of Bergman films on the big screen. These have been included in the extensive Ingmar Bergman retrospective currently taking place at BFI Southbank in London, part of the worldwide centenary celebrations of the Swedish director. My cinema outings have including Persona , Hour of the Wolf , Cries and Whispers , Fanny and Alexander  as well as lesser known television works like Scenes from a Marriage  and Face to Face . These experiences have confirmed to me Bergman’s status as one of the greatest artists of the last century. I consider the depth of his probing examination into human psychology to be on a par with some of the greatest writers and thinkers of the past 200-years; a hugely significant, timeless body of work that offers insight, hope and ultimately guidance in these divisive times. In the realm of all things sound and music, it is Bergman's films of the 1960s and 1970s that most interest me. A period marked by an intriging absence of conventional score. Gone are the orchestral strings of the earlier period. In their place emerges a more fragmented, modernist sound. Dynamic and atmospheric, the music of this period shifts between a sense of quiet atmosphere and violent atonal drama. This change in musical language, its subtle hues of expression, for me makes sense given the increasing intensity of psychological drama developing in Bergman's work. While films like Persona  and Hour of the Wolf  employ a bold contemporary sound, works scattered throughout this period tend to make sparing use of musical accompaniment, if at all. Instead what we hear are soundtracks composed almost entirely of location sound and studio sound effects. The effect of less music significantly alters the way we attend to the films. I believe it pulls us closer to the actuality of the drama, re-enforcing the tactile presence of the world. Bergman time and again demonstrates his mastery of the close-up, not only with what we see (the details of the human face) but also with what we hear (the sounds of the body). At the same time a new layer of environmental sound is free to be heard. A character in its own right, these worldly sounds strengthen the atmosphere and tone of the film helping to situate the story in a specific time and place. In this way a kind of Bergman-esque soundtrack emerges consisting of particular sounds and sonic ideas identifiable in a number of his films from this period. Owe Svensson, sound supervisor on much of Bergman's work of the 1970s and 80s, would later go on to achieve the apotheosis of this cinematic expression in Tarkovsky's The Sacrifice . A soundtrack of precisely orchestrated noises and diegetic music, lingering between different planes of reality. For further information see The Bergman Suite page. A long overdue addition to the Cinema of Noise project. Further information here. Ben Russell's latest film Good Luck  is a deeply immersive audiovisual trip. A quasi-documentary on the horrors and environmental destruction of the mining process, this piece demands a big-screen experience to fully appreciate the totality of it's physical audiovisual force. Sensory overload for a distracted age. The Psychedelic: An understanding of the self through a subjective experience. The Ethnographic: An understanding of the self through an objective record of someone that is not the self. My particular interest in Subject comes out of an interest in trance which I connect through noise music or experimental music but also Christian Ska bands and laying-on of hands or in different contexts we have something like the whirling dervishes, Indonesian self-flagellating rituals, the Yanomami Indians who use hallucinogenic snuff to produce shamanic rituals [...] this idea of the trance ritual is something we find across the world; its incarnation is specific to culture but its manifestation is universal. - Ben Russell [Sonic Acts Feb 2017, Source here]. An atmosphere of sound and silence: Ingmar Bergman's Cries and Whispers . - "I only hear the wind and the clocks ticking." - "No, it's something else." - "I don't hear anything else." The year ends with the completion of my final collection of electronic music - Systema Naturae - comprising of tracks from the past few years since returning to the UK. The three-part eponymous piece builds on ideas drawn from the Otoplexus project that was originally conceived in Tokyo around 2011-2012. Lynch Suite emerges out of time at film school while the final track The Enframing is a nod to my continuing interest in the writings of Martin Heidegger. This collection is dedicated to two giants of electronic sound: Iannis Xenakis & Bernard Parmengiani. A new Cinema of Noise project. Sonic escapades in film sound: A Cinema of Noise in Two Parts. More information here. 2018 marks what would have been Ingmar Bergman's 100th Birthday. The Bergman Suite is a tribute to the great director. An insight into his life and work through sound. More information here. 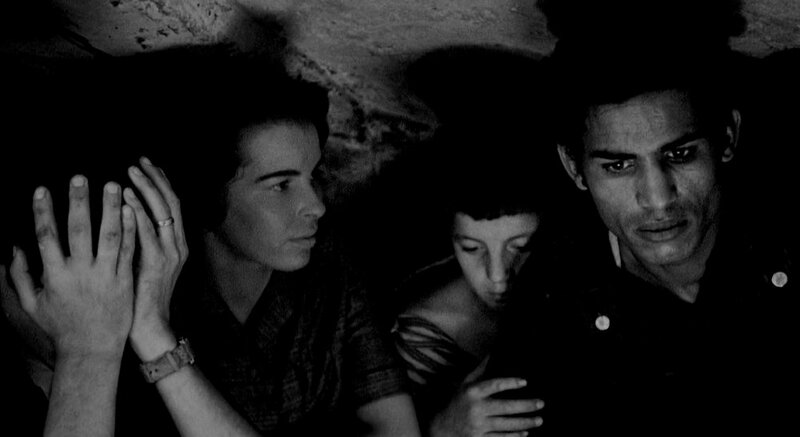 I recently re-watched Gillo Pontecorvo's 1966 classic The Battle of Algiers. Much of the visceral power of the film lies in the soundtrack. Not only in Morricone's expressive score but through the use of sound recordings to evoke everyday life in the casbah. Crowds, markets, vehicles, public address announcements, mosques, prayers, the harbour atmosphere - an endless texture of noise and human activity. While the increasing presence of the French military is marked by the sounds of marches, military vehicles, gunfire and explosions. In the films penultimate protest sequence, the soundtrack erupts in a cacophony of treated crowd noise, distorted effects and female ululations before Morricone's drumming theme gradually returns. The overall effect is breathtaking; a masterpiece in audio-visual storytelling. EARCAKE: 20 one-minute sound collages inspired by the work of Ivo Špalj - creator of Czech filmmaker Jan Švankmajer's unique world of sound. Treg Brown was a sonic maverick. Born in 1899 he worked first as a musician and later music editor, before finding a home at Warner Brothers as a pioneering sound editor. Working in tandem with the electic music of composer Carl Stalling, Brown's unique sound effects helped create the rumbustious soundtracks of the Warner Brothers cartoons for over 50-years. Before winning an Oscar in 1966 for his sound effect work on The Great Race, Brown worked on a bizarre Chuck Jones short called Now Hear This . Well worth watching. Earlier this year I created the first batch of Ear Cake audio pieces for moving images. The following slice was directly inspired by Treg Brown's wonderful universe of violence and noise. Further reflections on the life and work of Treg Brown can be found here. I recently saw this brilliant animation at a small Polish film festival in East London. Special mention to Keith Duncan who created the fantastic soundtrack; a wonderfully playful cinema of noise. Walter Ruttmann [1897-1941] was a German filmmaker best known perhaps for his 1927 city symphony film Berlin: Symphony of a Metropolis. Three years later he created Weekend, an image-less experimental film using sounds he recorded around Berlin. Wow. Andrei Tarkovsky's films have been digitally remastered, and a major retrospective of his work is currently underway across the UK. Tarkovsky is up there as one of the great directors who was willing to explore cinema as a truly audiovisual experience. Something in sound itself I think, that helped serve his metaphysical and spiritual line of enquiry - "sound's potential for ambiguity and abstraction [...] allowing a sound source to remain a figment of our imagination, mystifying rather than orienting" (And Then There Was Sound: The Films of Andrei Tarkovsky, 1992, Andrea Truppin). This is the railway cart ride into The Zone. A four-minute sequence near the beginning of the film showing the three main characters riding a small motorised railway cart into the zone. The scene consists of four shots that slowly drift between the anxious faces of the men and the passing landscape behind them. In the soundtrack we hear the metallic rhythms of the cart grinding along the track. As the journey continues a series of soft electronic sounds, like metallic coils of unknown origin begin to become audible. At first we detect them as diegetic elements from within the picture, perhaps from the rusty metallic surfaces or drifting across the land as distant sonic events. Gradually they grow in intensity, echoing in odd counterpoint to the steady rhythms of the cart. We begin to consider the origin of these sounds; they seem to linger outside the frame somewhere between sound and musical score. As the electronic texture continues to swell, so the sounds of the cart slowly change. The heavy weight of the metallic rhythms begin to strangely transform into new timbres that coalesce with the echoes of the electronic sounds. This new soundtrack of electronic tones and processed cart sounds continues until the men arrive at their destination. They have left a decaying civilization and are now in unknown territory, bound up in the enigmatic power of the zone. The Cinema of Noise series comes to a close with perhaps the first truly cinematic work of noise - Dziga Vertov's 1931 experimental documentary Enthusiasm: The Symphony of the Donbass. As The Cinema of Noise series nears completion (now up to #97), I've put together a few notes here that provide some background information about the listening series. "Why aren’t more scenes structured in this way, allowing a sound idea to influence the creative decisions in all the other crafts? One reason is that we, and the directors we work for, are used to thinking of sound as icing on the cake. The last thing in the process. The best sound is baked into the cake beginning in pre-production, from the earliest…. possible…. time." [Randy Thom, 2013 Designingsound.org article] - see the Cinema of Noise page for more information. A couple of new short fiction trailers now up - Scorpion (2015) and Skin (2014) both directed by Phil Sheerin. There's also a few new additions to the CINEMA OF NOISE series for those that enjoy such sonic excursions.